One critisism the more heard during the Enna’s release was the fact that it only runs on GNU/Linux. Enna depends of EFL and of GeeXBoX’s libs. EFL are already ready for Windows. I want to thanks Vincent Torri who has made an HUUUGGGGE work to have the EFL on this system. About the GeeXBoX’s libs, Mat has already fixed the configure script, and some other fixes in order to have libvalhalla and libplayer running on Windows. 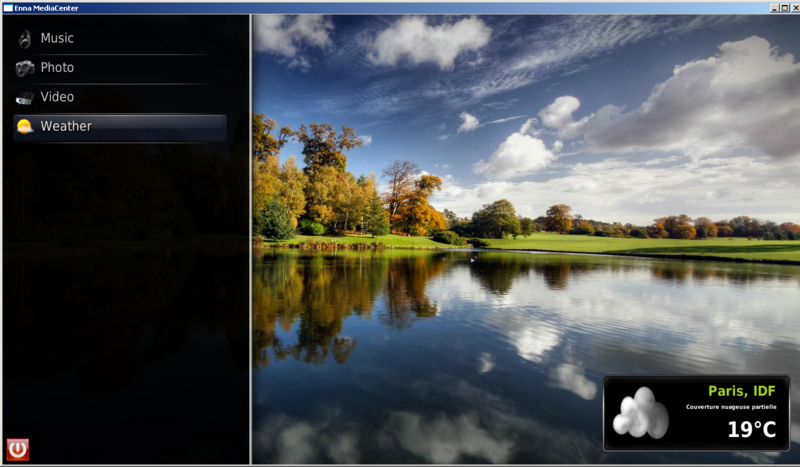 Now the big work is to have an libplayer backend that can play videos and music on windows. The natural choice is to rewrite the VLC backend. VLC is a really good at solid software, for years now, and is working on mostly all OS. With it, we should have a backend for all of enna’s port, MacOS, Windows, and of course Linux. Here there is a lot of work, mostly on evas and ecore. The Evas Quartz engine is not in a good shape. And the ecore Quartz code just doesn’t work. 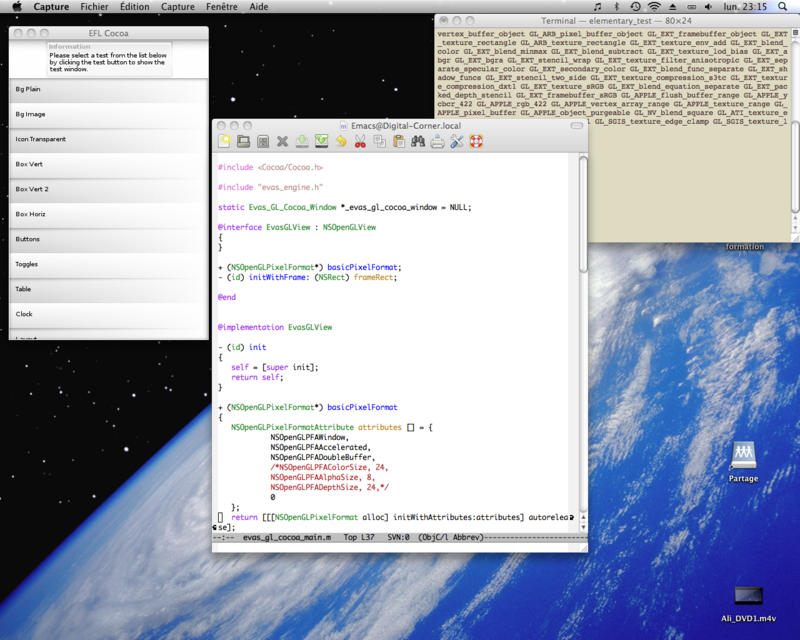 I begin to write a new engine for MacOS, based on OpenGL cocoa. It’s not ready for prime time now, but I can run all expedite test, and I get an Evas Speed arround 250fps on my MacMini with an Intel GMA500. If you have skills on these systems, contact me, help is always welcome. The VLC backend has still some major problems even with Linux.. and according to the VLC devs, it will stay with these problems with vlc 1.1.x. But, there is a possibility to have the xine backend under windows, there is a directx output. Why not go with gstreamer? I have been using gstreamer with emotion on wine and windows for ages.